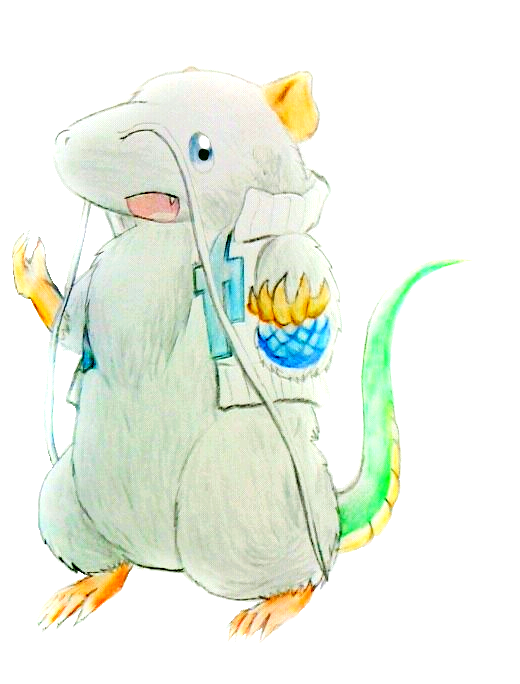 He is a rat, although his right arm is made of mecha. And his left one is abble to be melted. His favorite fruits are raisins.